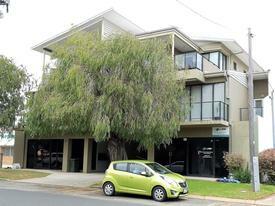 * Be first to experience this prime location in Mandurah strategically located in Mandurah's designated medical strip. * This building will be known as "Anstruther House". * Designed by the famous specialist award winning medical architect "Christopher Senior"
With ever increasing population of Mandurah, Anstruther House Medical Centre is well placed to serve the local community, meet the shortage of new and modern specialist rooms in Mandurah and become a sucessful and profitable centre. ESTUARY HIDEAWAY HOLIDAY .. Price: MAJOR PRICE REDUCTION - C..